Why do trees cause tree disputes? Everyone has their own opinion about trees. Tree lovers say that their trees provide privacy and are peaceful to look at. Others say that trees belong in a park or in the bush, not in a backyard. Next door neighbours say that trees growing on the other side of the fence need to be kept pruned or in some cases removed, because they cause damage. In this guide we look at what the next door neighbour can do if they have a difference of opinion with their tree owning neighbour who refuses to prune or remove their tree. What can I do if overhanging branches from my neighbour’s tree are hitting my roof, breaking roof tiles, damaging my gutters, and beating against my walls and windows when it’s windy? What can I do if the roots from my neighbour’s tree are growing underneath the fence and are cracking my driveway, lifting paving or blocking drains and sewer pipes? What can I do if my neighbour’s tree drops branches into my backyard some of the time and drops berries, fruit, twigs and leaves which need sweeping all of the time? What can I do if my neighbour has planted a tree hedge which blocks sunlight on my solar panels, my windows, interferes with my TV reception and my beautiful views? And what happens if the neighbour takes the tree owner to court? Will the court order the tree owner to prune or remove the tree and to pay for damage it has caused? Special rules apply to pruning overhanging branches compared with pruning the whole tree and removing trees. Disputes about overhanging branches have been brought before the courts for centuries. The decisions made by judges upon overhanging branches are known as the common law. These decisions are quoted by judges as precedents in later cases, and that is how the common law develops. The common law regards branches overhanging a boundary as a nuisance to a neighbour, because the overhanging branches are regarded as a trespass upon their land. They are a nuisance because they overhang, even if they are not causing damage. And so, the common law allows a neighbour to prune the branches to abate the nuisance, without needing the tree owner’s permission. If another man’s tree overhangs my land, I may lawfully cut the overhanging branches. Although the neighbour’s permission is not needed to prune branches to the boundary line, it is advisable to notify the neighbour first. The Local Council’s consent or permit might be needed if pruning more than the allowable proportion of the tree canopy or the roots of a protected tree (see notes on Council Tree Protection Orders). The proportion varies between 10% and 33%, depending on the Council. The common law imposes a responsibility upon a tree owner to prune branches overhanging the boundary into the neighbour’s land if they are notified that the branches are a danger to the neighbour’s animals, or the branches are causing damage to a building. Damages can be recovered for poisonous vegetation from a neighbour’s land. Thus the owner of yew trees, whose branches project over his boundary, so that his neighbour’s horse eats them and is thereby poisoned, is held liable. The tree owner’s liability for compensation usually arises only after they have been warned of the danger, and have failed to prune the overhanging branches. Before doing any pruning work, it is advisable to notify the tree owner (your neighbour) in writing of your intention to prune the overhanging branches. In your note, you should set out what you intend to do and why you need to do it. For example, the overhanging branches may be damaging your gutters or breaking roof tiles. Your note should state when the work will be carried out. Ask for permission to access the tree owner’s property to clean up any branches or debris that falls on their side of the fence. The offer to clean up should be made, even if it is not taken up. State in your note if the work is to be carried out by a qualified arborist (who has insurance). The pruning needs to be done without entering into the tree owner’s land, unless permission has been obtained to enter the land. It is trespass to enter onto the tree owner’s land to carry out pruning without permission. The pruning needs to be done without injuring the tree, and without making it unstable. Unless the pruning is minor, a qualified arborist should be engaged to shape the tree correctly. Once the pruning is done, the pruned branches should be offered to the tree owner because the branches from their tree belong to them. But they are not to be thrown over the fence onto the neighbour’s property because that is trespass. The tree pruner should use their green waste bin to dispose of the branches, if the tree owner does not want them. The person pruning the branches bears the cost, unless the pruning is ordered by a court. In Queensland (but in no other State), the tree owner may be required to pay up to $300 of the cost of pruning without a court order if the tree owner has been given proper notice. Root barriers are an effective way of preventing the spread of roots. It is permissible to install root barriers along the boundary, if there is a tree planted near the boundary. As a rule of thumb, tree roots will spread to the extent of the canopy. The same rules apply to cutting encroaching roots to install a root barrier as apply to pruning encroaching branches. It is particularly important to ensure that cutting the roots will not destabilise the tree. Next door neighbours face many hurdles to pruning or removing a tree growing on the neighbour’s side of the fence. The tree owner must agree to the pruning or tree removal. If the tree is indigenous, it is likely to be a protected tree. The Local Council prohibits its removal without its permission and limits the pruning. Fines can apply for unauthorised tree pruning or removal. Good reasons need to be given to the tree owner and the Local Council when asking for permission. For example, the tree may be diseased or dying. If the tree owner or the Local Council does not agree to pruning or removing the tree, court proceedings need to be taken to obtain a court order for the removal of the tree. Tree roots encroaching into a yard are not as good reason for removing the tree unless they are causing actual damage to the foundations of a building, a wall or some other improvements. Protection of views is difficult. In NSW, there must be two or more trees standing together (to form a hedge) which have been planted, not self-seeded. There must be view which has become severely obstructed by the hedge – orders will not be made to allow someone to gain a view which they never had. Local Councils consider some trees to be good trees and some trees to be bad trees. Each Local Council has their own Tree Preservation / Tree Protection Orders in their planning scheme to protect good trees. Australian Natives are good trees, especially trees that are part of the indigenous vegetation in an area. For example, much of the Sydney Basin was turpentine-ironbark forest with indigenous trees such as Apple Gums, Grey Gums, Christmas Bush, Swamp Mahogany, Forest Red Gums, Grey Boxes, Tallowwood and Sydney Blue Gums. As a rule, Local Councils will not consent to pruning or removing a good tree if the tree is healthy or if it is a heritage item or a significant tree. Local Councils will consent if the tree is diseased, damaged, dead or dying; threatens human life or is likely to damage property. No consent is needed to remove the allowable proportion of the canopy or roots (10% to 33%, depending on the Council). Introduced species are bad trees, if they can grow quickly and their roots cause damage to property. Local Councils publish a list of trees that are bad trees in their area. For example, Rubber trees, Indian Coral trees, Umbrella trees, Cocos palms, Oleanders, Poplars, Bamboo and Camphor Laurel. Council consent is not needed for pruning and removing bad trees. Some bad trees are so bad that in some places they are noxious trees. For example, Chinaberry trees, Tree of Heaven, Rhus trees, African Olives and Privet. Councils can order a land owner to remove noxious trees. Some trees are neither good trees or bad trees. For example: Jacarandas, Liquidambars, Oaks and Silver Birches. Council consent is needed for their pruning and removal. No consent is required unless it is a tree. What is a tree? The usual definition is that a tree is vegetation with a woody stem which is higher than 4 metres and has a trunk girth of 500mm or more at any point. The application for Council consent can be made by the tree owner - the owner of the land where the tree is growing. The neighbour affected by the tree can also make an application, but they need the tree owner’s consent. If the tree is growing on the boundary, the owner of the land where the tree is principally situated makes the application for Council consent. There must be a good reason given for the application for Council consent to prune or remove a tree. For example, the tree is dead or dying: the tree branches are causing damage to property or are likely to cause damage or injury; the tree is within the bushfire clearance zone. What law applies to tree disputes? In all States in Australia, the common law applies. The common law is particularly helpful in dealing with overhanging branches. In Victoria, South Australia, Western Australia and Tasmania, the common law is the sole law that applies because there is no specific legislation dealing with tree disputes. Because the common law remedies are complex, neighbours are encouraged to ask the Local Council to help before making a court application. In New South Wales and Queensland, specific legislation exists. 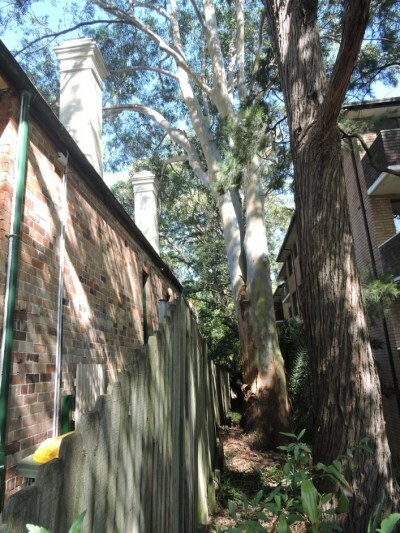 In NSW it is the Trees (Disputes Between Neighbours) Act 2006, and in Queensland it is the Neighbourhood Disputes (Dividing Fences and Trees) Act 2011 (the Tree Laws). In NSW, the Land and Environment Court makes orders to prune or remove trees, and for payment of compensation for damage or injury caused by trees. In Queensland, the Queensland Civil and Administrative Tribunal makes these orders. In both states, the next door neighbour is encouraged to reasonable efforts to reach agreement with the tree owner (or tree-keeper) before going to court. The NSW Land and Environment Court has a special division which deals with tree disputes under the NSW Trees (Disputes Between Neighbours) Act 2006. This is a selection from the 1,000 or so decisions of the Court since 2007. I advised the next door neighbour successfully in three of these decisions, with the result that the trees were removed and the high hedge was pruned. Note: the full text of the decisions is able to be accessed by typing the reference into Caselaw NSW in the Advanced Search / MNC search field. Facts: A Tallowood (tree to the right) and a Sydney Blue Gum (tree in the middle) were planted in the early 1980s less than 1 metre from the boundary. Woody tree roots had grown under the brick footings of the 1910 era house (on the left) in inner city Enmore. The tree roots had expanded and caused “hogging” i.e. an upward deflection of the brick wall, and internal wall cracking. The tree owner argued that the cracking was caused by expansion and contraction of the reactive clay soil on which the house was built, and not the tree roots. Orders: Both trees were to be removed, the stumps and woody roots ground. The tree owner was to pay the cost (about $15,000 per tree). The tree owner was also to contribute 20% to the cost of repairs to the sewer pipe, paving, etc. Comments: The trees were growing too close to the house. The roots were lifting and twisting the foundations. The court would have preferred these indigenous trees to remain, but the arborists and engineers considered that cutting the roots to install a root barrier would destabilise the trees. Other trees nearby would ameliorate the visual amenity of these trees. Facts: The neighbour had built garden beds and installed a root barrier near the stone dividing wall which he built between the properties about 10 years previously at Castle Cove. He made the claim because the garden beds were being colonised continuously by bamboo from the bamboo owner’s garden, and were destroying the wall. Orders: The bamboo was to be removed to no less than 3 metres from the boundary and the garden beds rebuilt, at the bamboo owner’s cost, and the bamboo owner was to pay $500 towards the cost of replanting. Comments: The damage caused by the bamboo was obvious to the owner for many years, yet he allowed it to continue. Bamboo and vines are covered by the Trees (Disputes Between Neighbours) Act 2006, even though they are not trees. So are many ‘trees’ which may not come within the Local Council definition of a tree. Facts: A strata scheme wanted to re-lay a concrete parking area which had been extensively uplifted and cracked by the roots of a Swamp Mahogany tree (an indigenous tree) growing next to the boundary. The uneven concrete was a trip hazard. Orders: The tree was to be removed at the tree owner’s cost because the roots had been a cause of the damage. Root pruning was not feasible because it was likely to destabilise the tree. A large jacaranda growing at the rear of the tree owner’s property would compensate for the loss of the tree. Comments: Tree roots uplifting and cracking paths and driveways are common reasons for tree removal, if root pruning is not feasible. The tree roots need not be the only cause of the damage, such as in this case where normal wear and tear or failure of the sub-grade could have contributed to the cracking of the concrete slab. This could have been the reason why no compensation for the damage was pressed. Not long ago, I was asked to advise upon a claim made against a client for root damage which was alleged to have caused a neighbour’s driveway to lift and cause cracks in brickwork in the house. The offending tree was a Liquidambar, which is a tree known for its extensive root system. The claim was settled out of court. Here’s how - because the tree was growing near the boundary, we commissioned a boundary survey, and to our surprise, found that the trunk of the tree was 70% on my client’s land and 30% on the neighbour’s land. As you can imagine, not only did the neighbour’s claim for compensation ‘collapse’ because the damage was caused by a tree that they partly owned, but they agreed to contribute 30% towards the cost of removing the tree! Note that a Council tree removal permit was obtained before the tree was removed. Facts: A Forest Red Gum, an indigenous species at Blacktown, was in an advanced state of decline with thin canopies and significant dead wood. Once, it had contributed to the amenity of the area, but now it was a hazard likely to cause damage to property or injury to persons. Orders: The tree be removed to a height of not more than 3 metres, and loose fence palings be reaffixed at the tree owner’s cost. Comments: Removal of an indigenous trees can be justified if it is dying. Facts: During a storm, limbs from two Grey Box trees on the tree owner’s property fell and damaged the neighbour’s guttering, a roof panel, fence panels and fly screen. The affected neighbour had claimed the damage on his insurance, and the claim had been paid. He wanted the trees removed. The tree owner’s arboriculture report stated that the limbs broke from the tree because of the very strong winds, not from any structural weakness. Orders: The two trees must remain because they contributed substantially to the general amenity of the land and contribute to the ecosystem and biodiversity of the local area. The trees are to be pruned by the tree owner every 4 years. The tree owner was ordered to pay one half of the insurance excess of $300. Comments: The Court will not remove indigenous trees that are healthy. The Court will make a pruning order instead. The tree owner is not liable for storm damage caused by branches or trees falling from a healthy tree. Home Insurance covers the next door neighbour for damage from falling limbs and trees, if caused by storm and tempest. Facts: The neighbour complained of leaves dropping from a eucalypt tree on to his house gutters and in the yard where the clothesline was situated. The tree straddled the boundary. He wanted the tree removed. Comments: The Court has also ruled that no order will be made to prune or remove a tree because animals, such as mammals, birds, reptiles or insects such as bees, may be attracted to a tree or use it for habitat, and cause a nuisance. Facts: 76 Leyland Cypress trees were planted in a double row as a high hedge on the boundary, inside the tree owner’s land at Blackheath, in the Blue Mountains. When grown, they form a solid green screen which protects privacy and acts as a wind break. The neighbour’s house was near the boundary. When the neighbour acquired the house in 2000, the trees were 2-3 metres tall. Sunlight entered the living areas in the afternoon in winter. There were views of the sunset over natural and cleared land. There were photographs taken at the time to prove this. Leyland Cypress is quick growing. By 2015, the trees had grown to be 16 metres tall. They had not been pruned. The formed a high hedge which completely blocked the sunlight and the views, all year round. Shadow diagrams were produced to prove that the obstruction was severe. The neighbour had tried to reach a reasonable agreement with the tree owner, but failed. The Leylandii trees are not indigenous; they were of no great value in terms of public amenity; and were evergreen. Orders: 38 trees comprising the southern half of the hedge were to be removed and the boundary was to be replanted with hedge of a more suitable species which were to be pruned annually to 3 metres. The other 38 trees were to be pruned to a height of 4 metres and were to be pruned annually. The tree owner was ordered to pay the cost. Comments: Whether in the country or the city, hedges of Leighton Green need regular pruning. When they grow above 2.5 metres, they form a high hedge which enables a neighbour to take court action to have them pruned if they severely obscure sunlight to or severely obstruct a view from the next door neighbours house. Facts: The owners of a property at Dover Heights, in the Eastern Suburbs of Sydney had views from their living area and back deck over Sydney Harbour to the CBD, the Harbour Bridge, sails of the Opera House and district views. They had lived there for 11 years. The problem was that the neighbour below them had two Norfolk Island Pines in their yard, which would block the view if they were allowed to grow. In past years, the neighbour had kept the trees pruned to form a hedge about 6 metres tall. As a considerate gesture as sellers of the house, they wanted to ensure that the new owners continued to enjoy the views. Orders: No orders were made for pruning because the trees had been recently pruned (after the court application had been made). The court noted that the neighbours had agreed to keep the trees pruned in the future. Comments: Property owners can only protect the view they have when they buy the property. In this case, the new owners have much to thank the former owners for ensuring that the hedge was pruned before they took ownership, so as to preserve the harbour view. Otherwise, if they take ownership with the hedge blocking their view, they cannot ask for the hedge to be pruned to provide them with a view. It is important to note that orders are made in less than half of the cases brought to Court because many tree owners take action to avoid going to court, or when they do, they have a good answer to the claim. If the tree is growing near the boundary, they will agree to the next door neighbour trimming overhanging branches and encroaching roots, at the neighbour’s cost. They do so because they know if the case goes to court, they will be ordered to do so and pay the cost. If the tree owner becomes aware of the possibility of damage or injury caused by their tree, they will take action to prevent it. If the tree is an indigenous tree, they will know that it is very difficult to obtain Local Council consent to remove the tree, unless it is dead or dying. They will be looking to prune the tree instead. When in doubt, a tree owner will obtain an arborist’s report on the tree, and if there is structural damage, a structural engineer’s report, to rely upon. Court applications should be settled if possible, without going to a hearing, to avoid legal fees. This is because no legal fees are awarded to successful parties in the proceedings, unless one party has acted unreasonably. Cordato Partners Lawyers advises on tree disputes and acts in tree applications made to the Land and Environment Court. The advice we give is based upon our best analysis of the cases that have been before the court and our experience in advising upon and conducting those cases. Please feel free to contact us by email or phone for a short consultation free of charge.